From the impact and cult success of the 2004 debut album Reality Dysfunction, Linear Sphere are pleased to present the long-awaited second album Manvantara, a concept album with a story starting in ancient Atlantis, and with mankind’s journey traced through the ages, all set against a musical backdrop of highly unique progressive music with influences from modern metal to jazz-rock-fusion. Featuring top British actor Paul Darrow as special guest narrator on Cycle of Ages, and with bespoke artwork by Ashley Christudason at Jungle Eye, Linear Sphere are very pleased to announce the release of their second studio album, Manvantara, complete with 12 page booklet. Engineered and produced by Martin Goulding, mixed at Hardbeat Studios in Wembley UK by Martin Goulding and John Papas with Mastering by Alan Douches at WWSM in NYC, and featuring Jos Geron on vocals, Martin Goulding on guitars, Jamie Brooks on keyboards, Steve Woodcock on bass and chapman stick and Nick Lowczowski on drums. 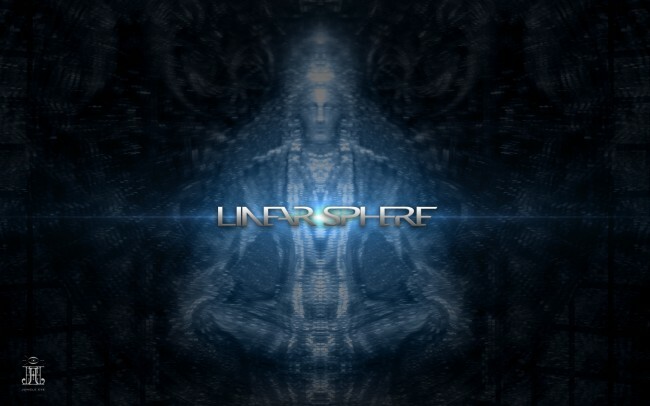 Our new site is live at www.linearsphere.com and includes a background and full synopsis of the concepts behind the new album, as well as some cool Linear Sphere desktop backgrounds! We’re also very pleased to announce the re-release of the cult classic 2004 debut album Reality Dysfunction featuring the original line up of Jos Geron on vocals, Martin Goulding and Charlie Griffiths on guitars, Dave Marks on Bass and Nick Lowczowski on drums with Adam Robinson on guest keyboards, which is now available again as CD/Booklet either separately or as part of a double album bundle! The new release is now available from iTunes, Amazon and at most major download sites. This entry was posted on Sunday, July 29th, 2012 at 12:55 am	and is filed under News. Responses are currently closed, but you can trackback from your own site.